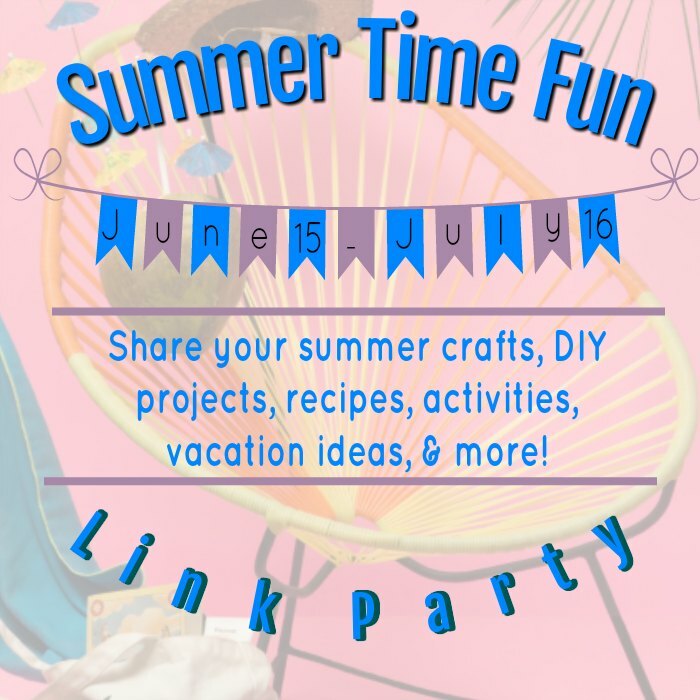 With our Summer Time Fun party at an end it was time to go through all the submissions and pick a few of my favorites. That is never an easy thing when there are so many TALENTED bloggers linking up. I did try my very best to read, comment, and pin them all and those posts that really stuck out in my mind were the ones I chose to feature. I hope you'll visit each of the co-hosts this Thursday July 19th to see what features they've picked too. 4th of July Dessert Recipe For Your Neighborhood BBQ from Play Dates to Parties -- they all look so delicious and we have a huge family party each 4th of July weekend. 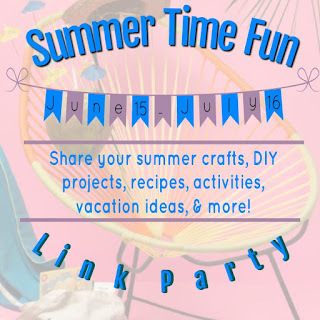 Tropical Shrinky Dink Charms and Pins by My Pinterventures-- My boys and I just LOVE playing with Shrinky Dinks. 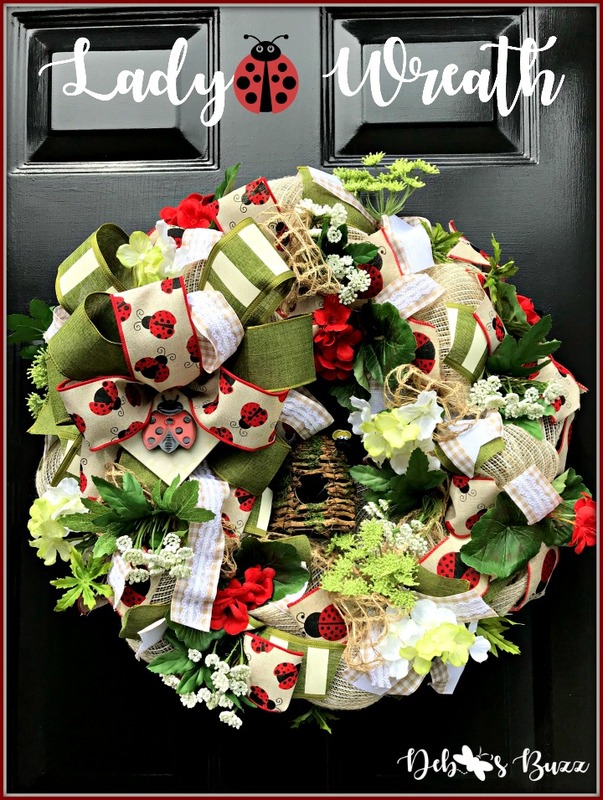 Ladybug Wreath for New, Existing Homes Bridges Seasons by Debbees Buzz -- There's just something about ladybugs that tug at my heart and this is such a cute wreath. The Best Cake Recipe You will Ever Make for Father's Day by Bluesky at Home-- I just adore cinnamon and this cake sounds amazing. Protea Flower DIY by Purple Hues and Me-- I just could not get over the fact that she made this using foam sheets. DIY Disney Themed T-Shirts by The Scrap Shoppe Blog-- You all know I just love anything Disney and with all the Cricut/ Vinyl clothes I've been working on lately this was right up my alley! 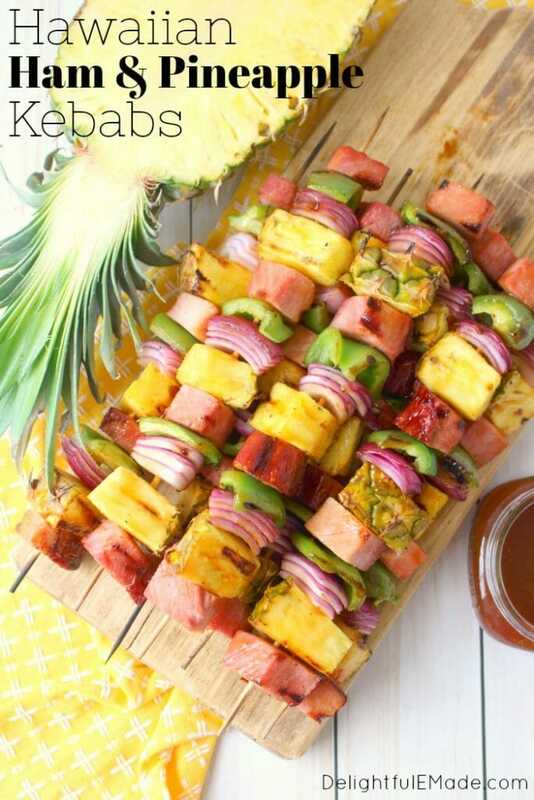 Hawaiian Ham & Pineapple Kebabs by Delightful E Made-- don't they just look amazing? I'm always looking for new grilling ideas. Dollar Store Flower Coasters by Crafty Lumberjacks-- I just thought these were so beautiful and I loved that the supplies were from the Dollar store! Update a Bright Purple Planter with Paint by Shopee No. 5-- The transformation from cheap purple plastic pot is just amazing! Ginger Peach Iced Tea by Delightful E Made-- My favorite drink year round hands down is iced tea and I love the idea of infusing it with fresh peaches and ginger. YUM! Joanne, thank you for choosing my ladybug wreath from soooo many other wonderful, fun and creative posts! Want you to also know how very much I appreciate you visiting all the submissions and leaving lovely comments. As a blogger of just 9 months, you've been very encouraging of my work. You're welcome! It's a beautiful wreath and I was happy to feature it. Lovely selections! 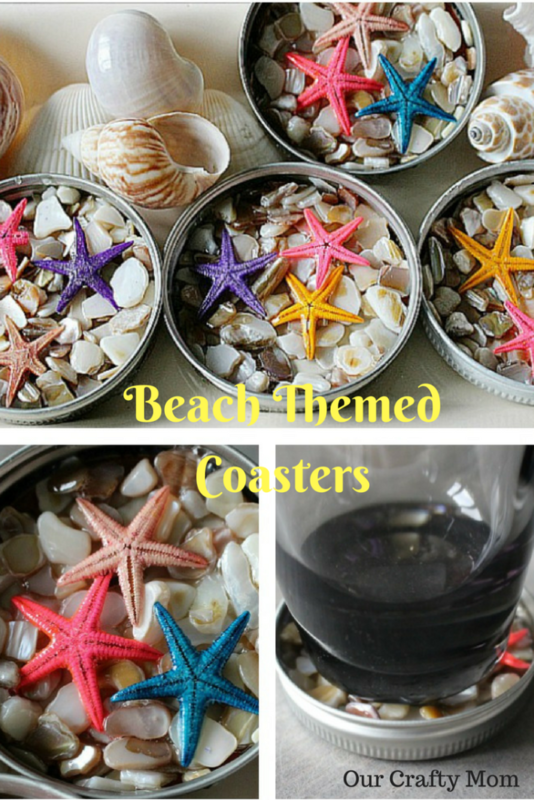 I pinned those patriotic desserts! It's always fun to see the featured posts from the other hosts!